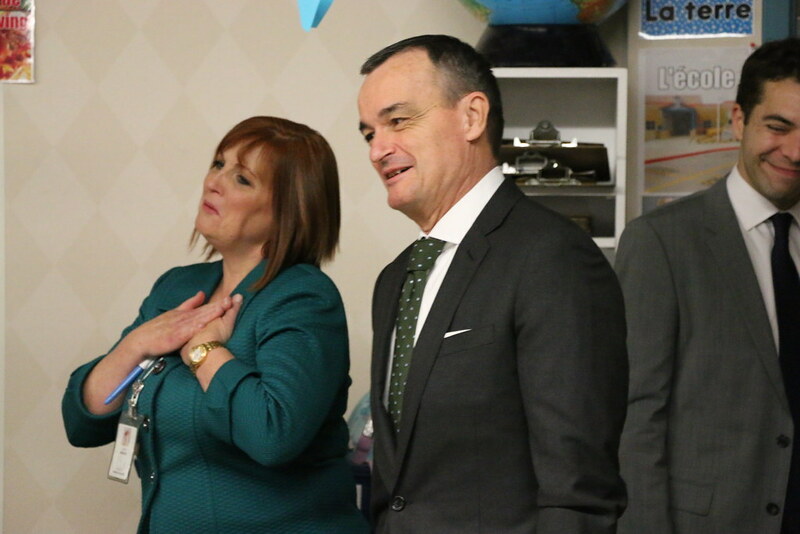 What’s the toughest part of an ambassador’s job? 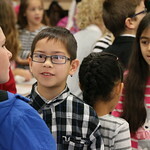 Staying in shape when offered so much delicious food. 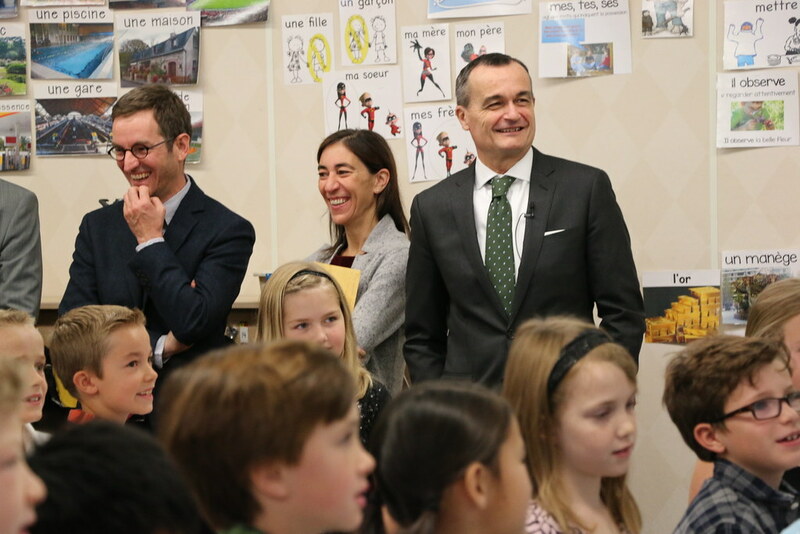 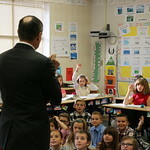 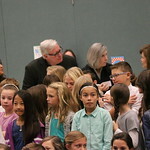 That’s what French Ambassador Gérard Araud told giggling students in Oak Hollow Elementary's French-English Dual-Language Immersion students during his visit to the school Thursday, Dec. 3, 2015. 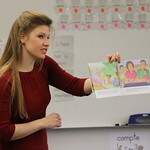 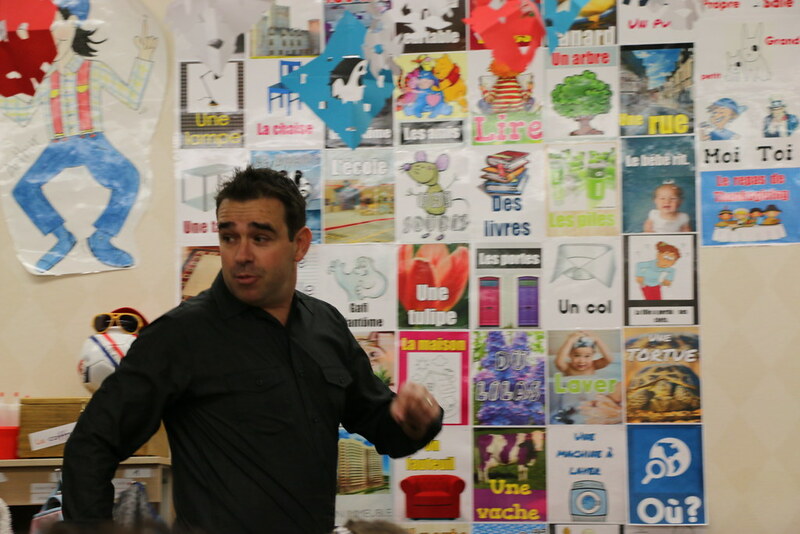 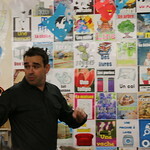 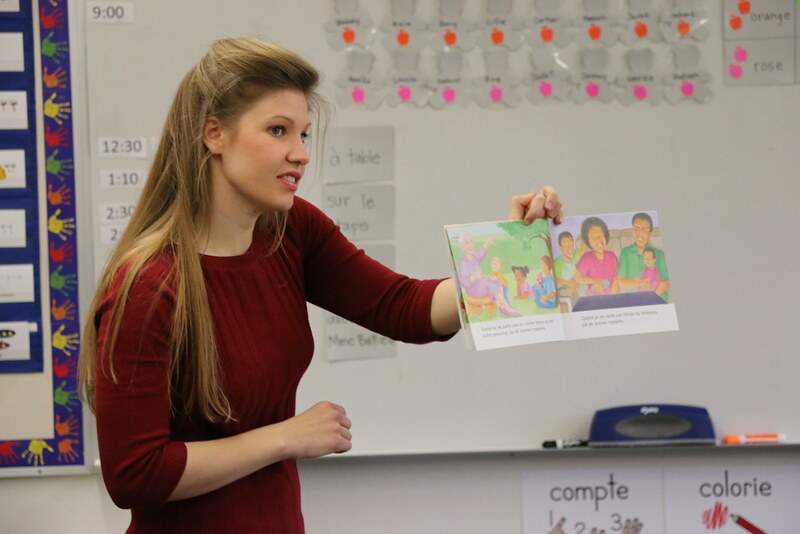 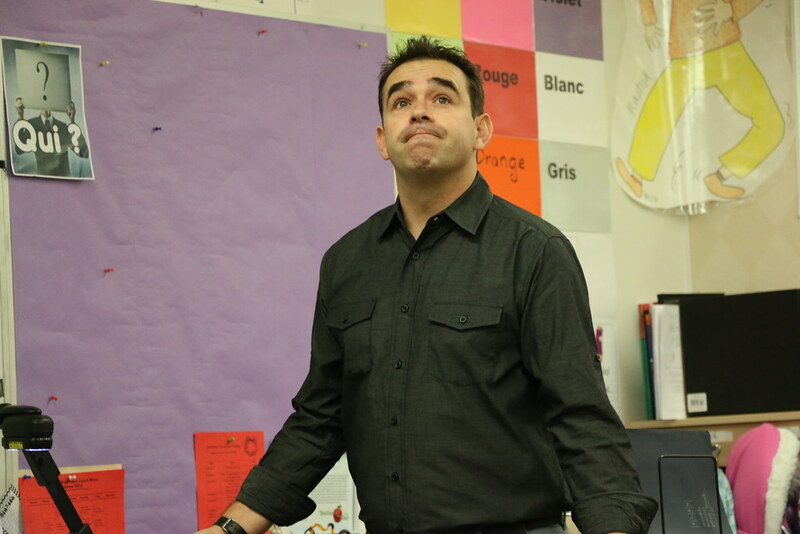 The visit offered the students the opportunity to showcase their language skills, cultural understanding, and performances of songs, skits, and school lessons — all en Français. 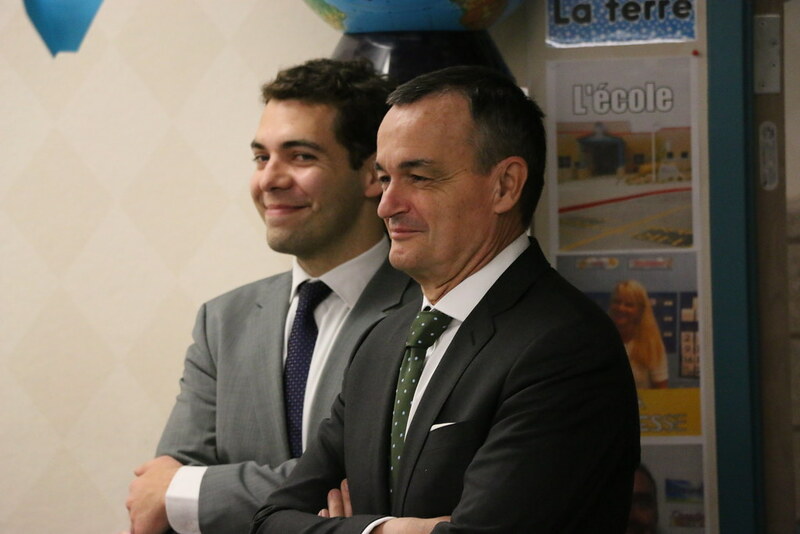 Ambassador Araud offered high praise for his student hosts, who began learning French in the first grade. 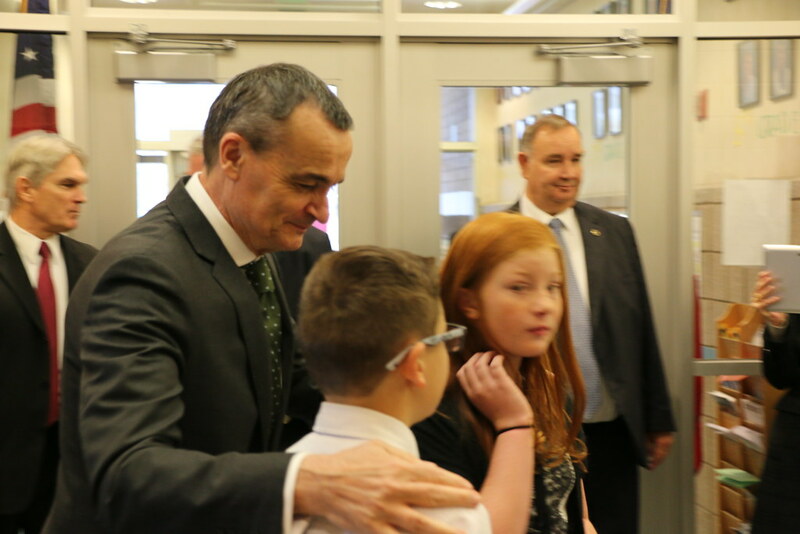 Students welcomed Ambassador Araud, accompanied by Consul General Pauline Carmona and Educational Attaché Karl Cogard, with flowers and gifts upon his arrival. 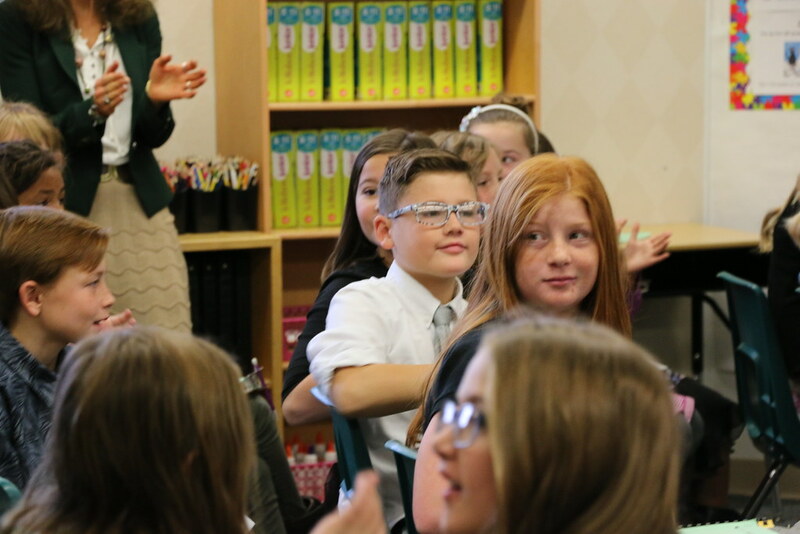 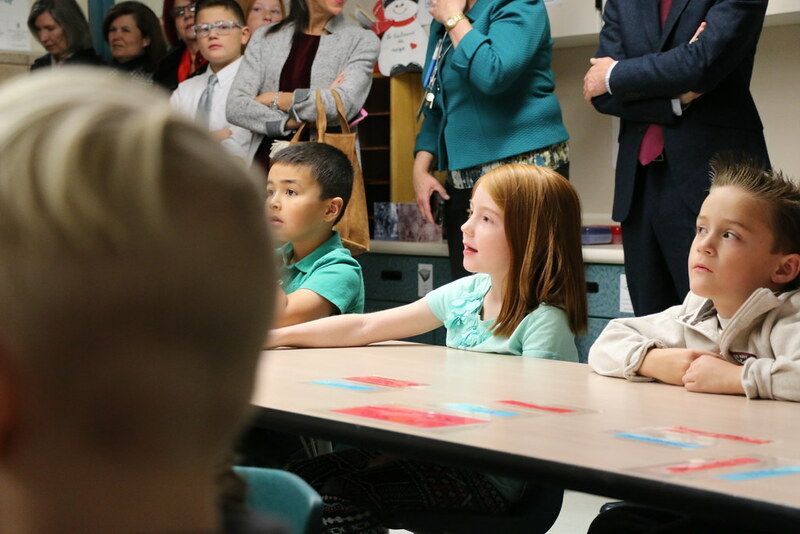 Fifth-graders escorted the French leaders to classrooms, where students in first- through fifth-grades performed songs and skits and demonstrated their math and science prowess. 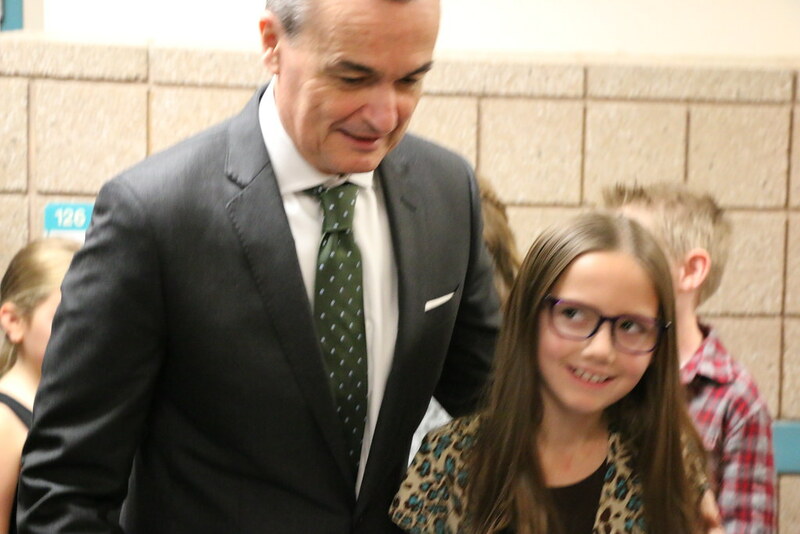 Students also interviewed Ambassador Araud, asking him a range of questions, from what he drives (a BMW) to his favorite animal (horses). 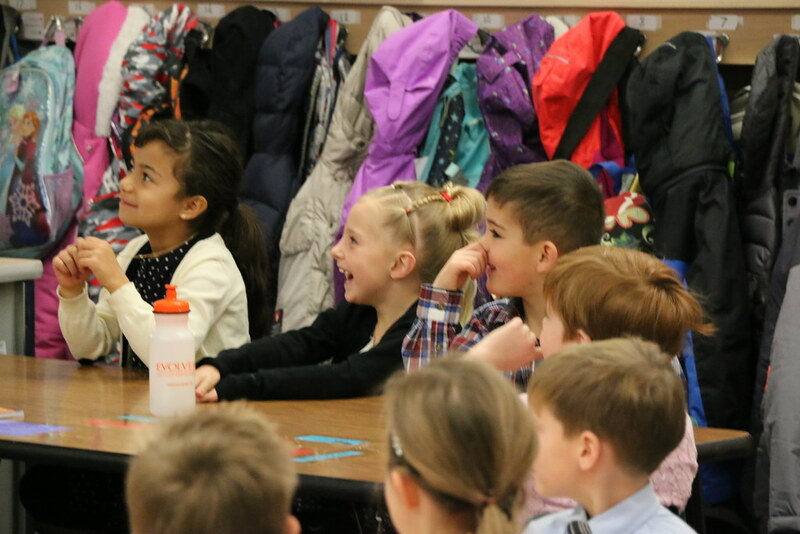 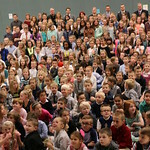 CSD offers French-English Dual-Language Immersion (DLI) programs at Oak Hollow and at Butler Elementary in Cottonwood Heights, and in their feeder middle schools. 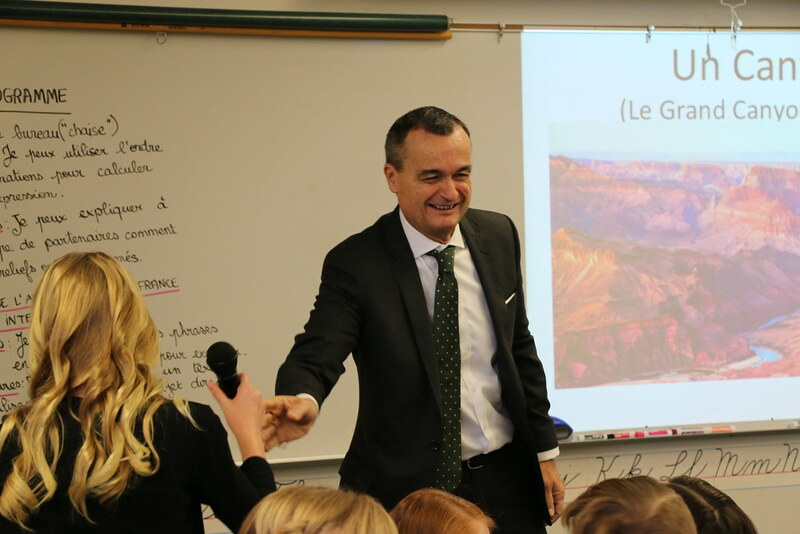 The programs are supported by the French Embassy and French Consulate in San Francisco, which provide resources including French elementary teacher recruitment, teacher training workshops, and stipends for teachers to study in France. 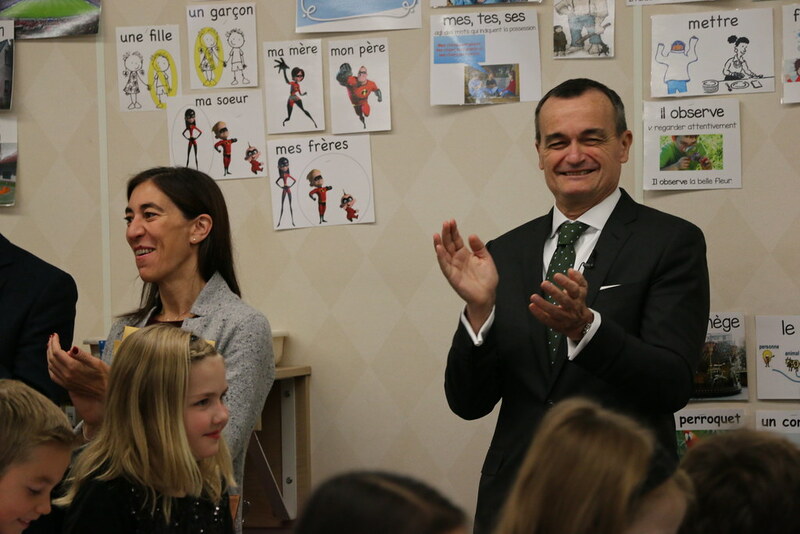 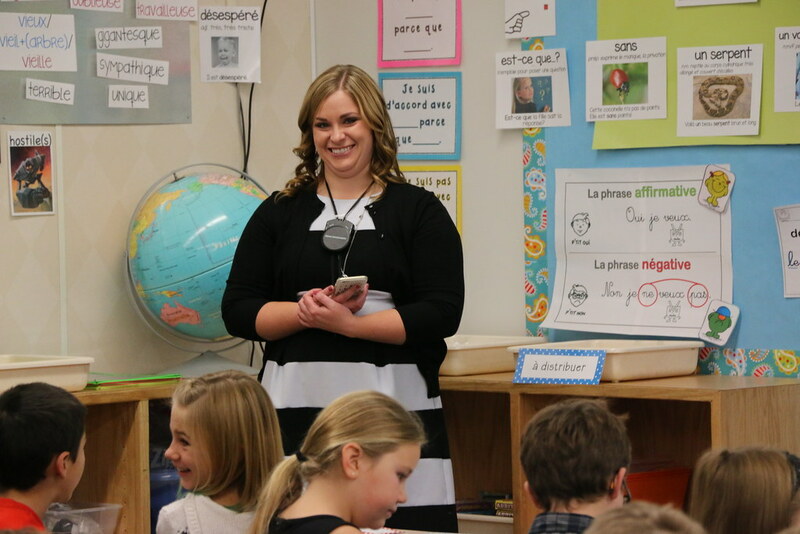 Oak Hollow and Butler elementaries have received the French Ministry of Education’s prestigious Label FrancEducation, a rare honor recognizing institutions that provide students with high-quality francophone departments and access to a range of services. 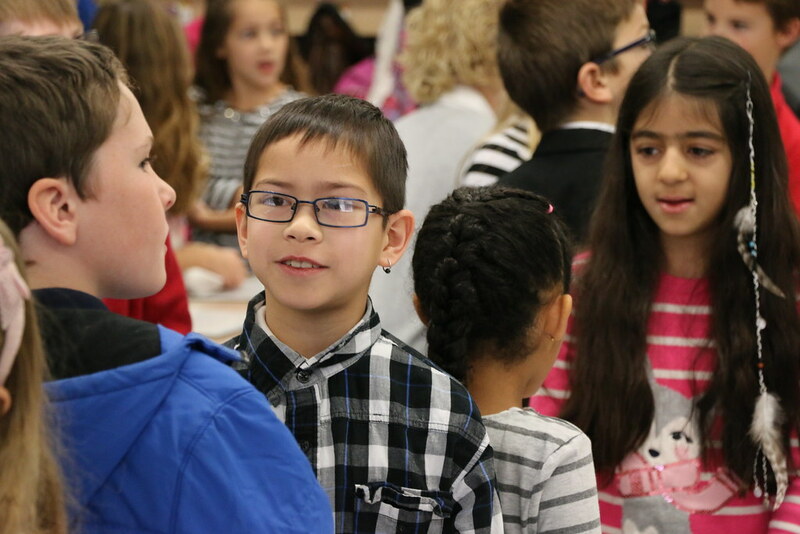 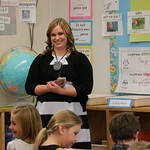 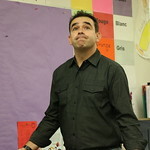 CSD offers six other elementary DLI programs in Mandarin Chinese-English and Spanish-English. 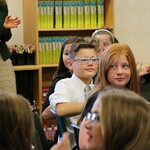 DLI instruction also continues in CSD in middle schools and, beginning next school year, high schools. 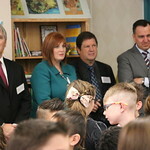 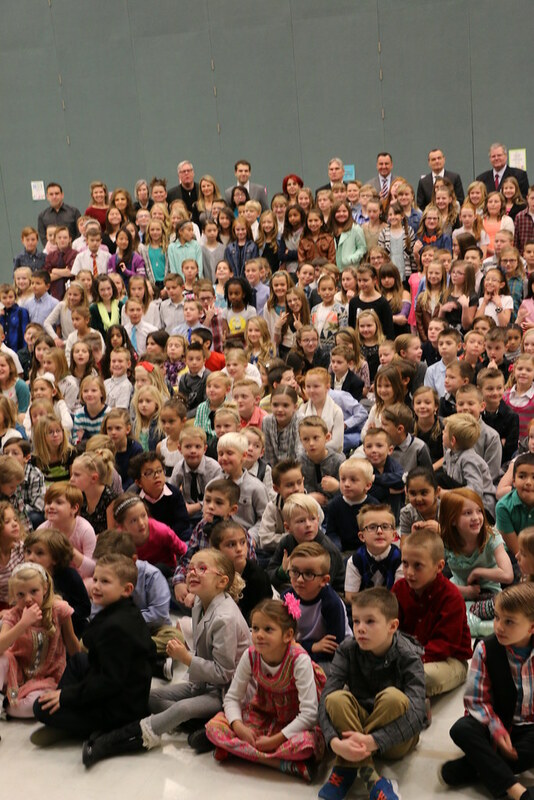 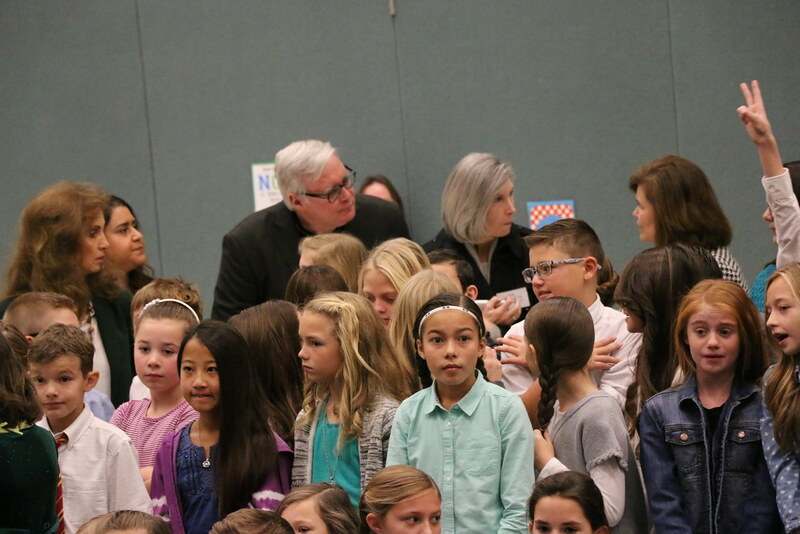 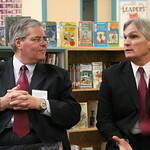 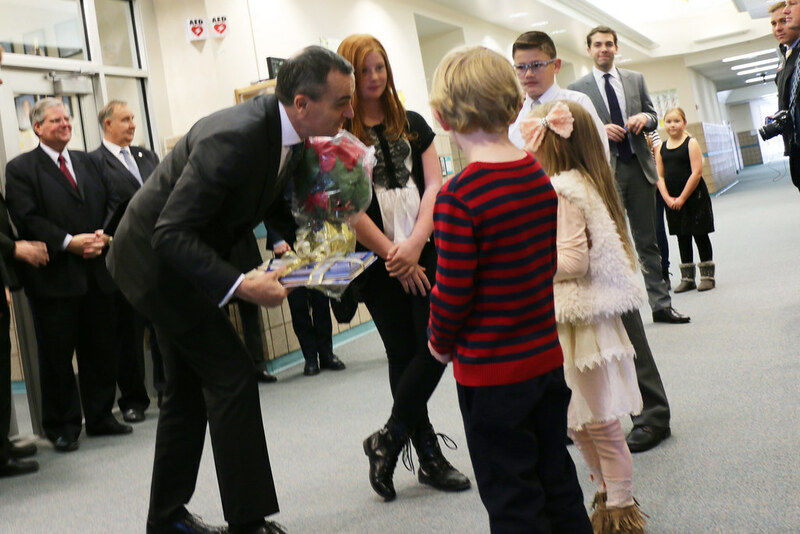 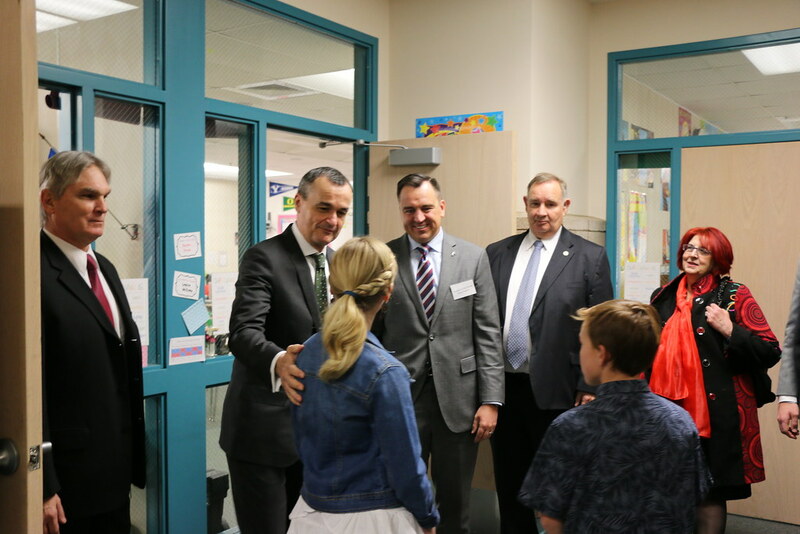 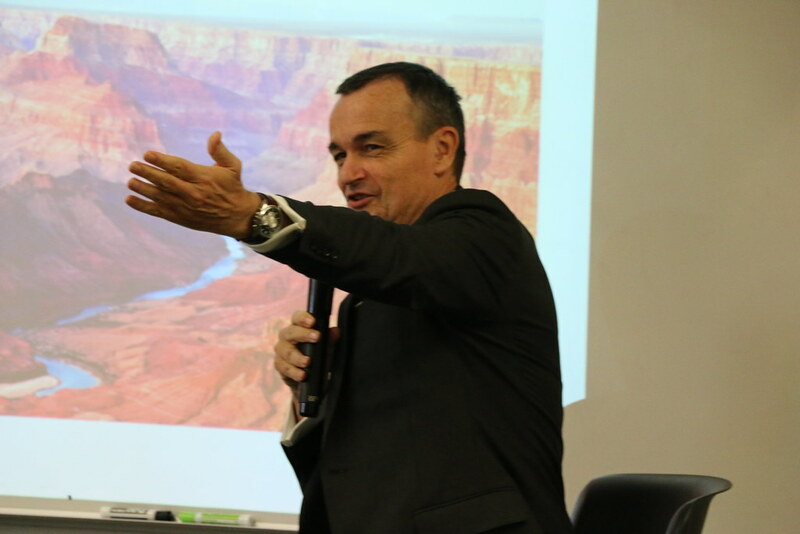 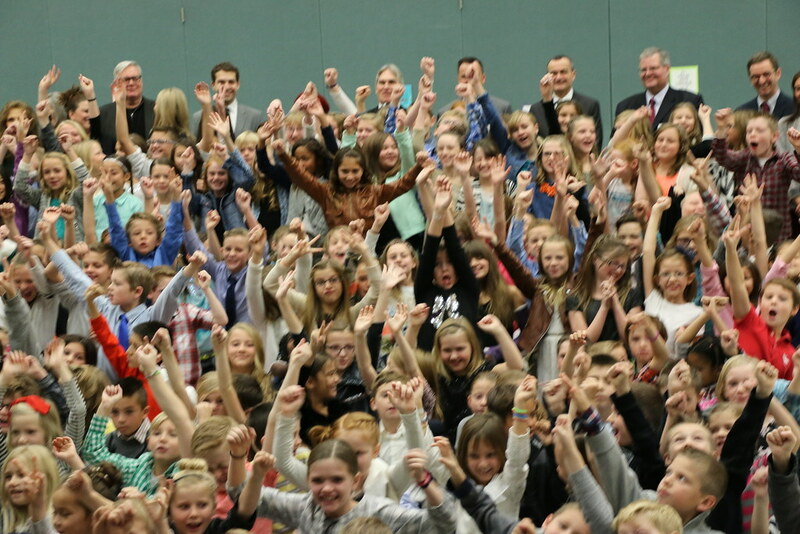 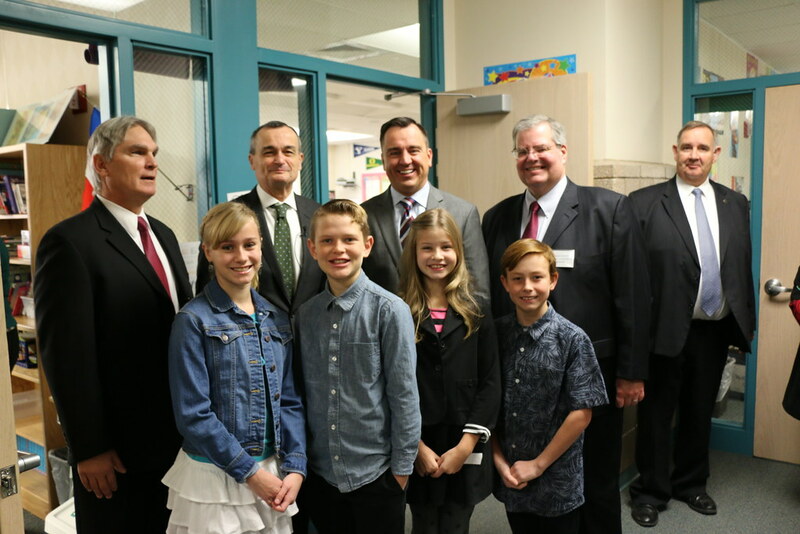 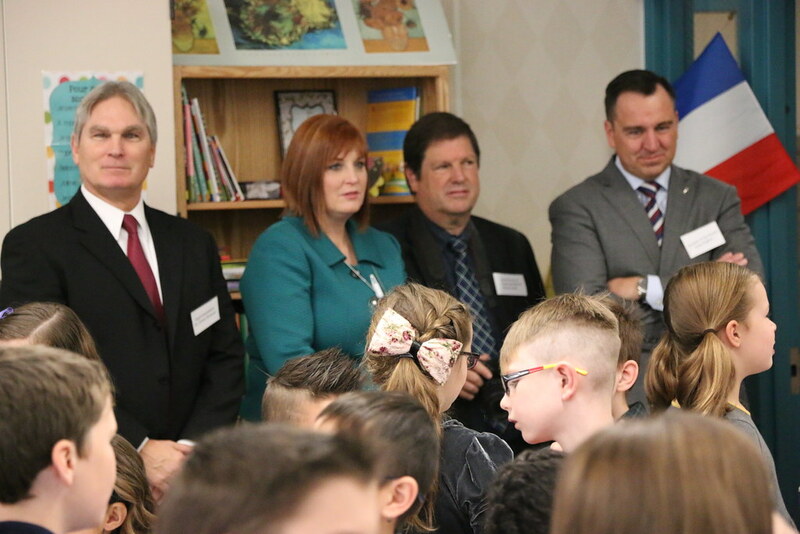 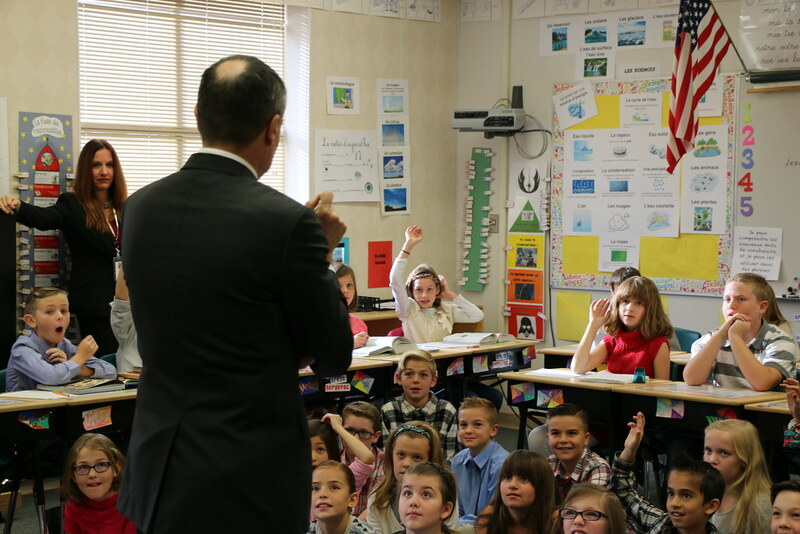 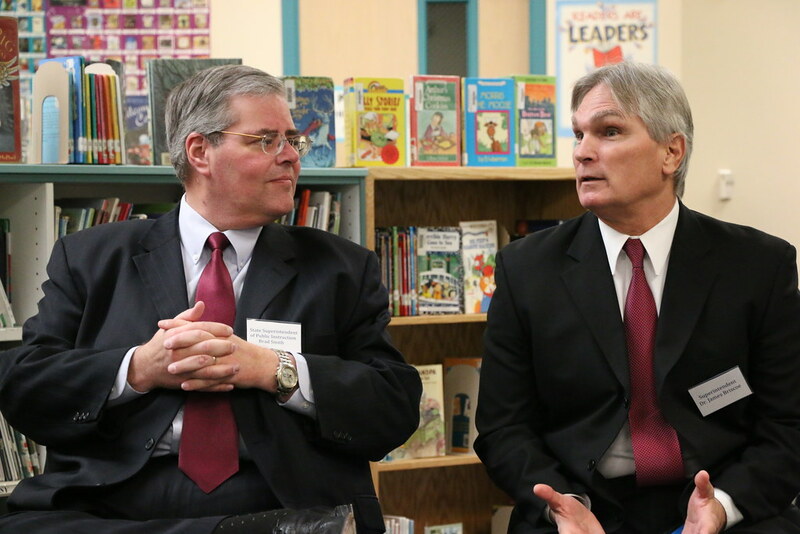 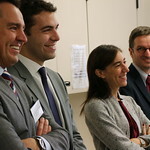 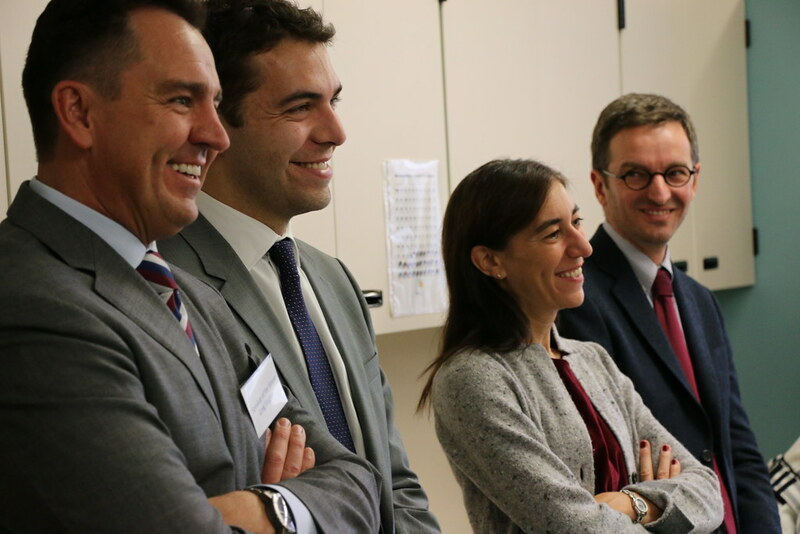 The ambassador’s visit was attended by Canyons School District and state leaders, including State Superintendent of Public Instruction Brad Smith and Speaker of the Utah House Greg Hughes, R-Draper. 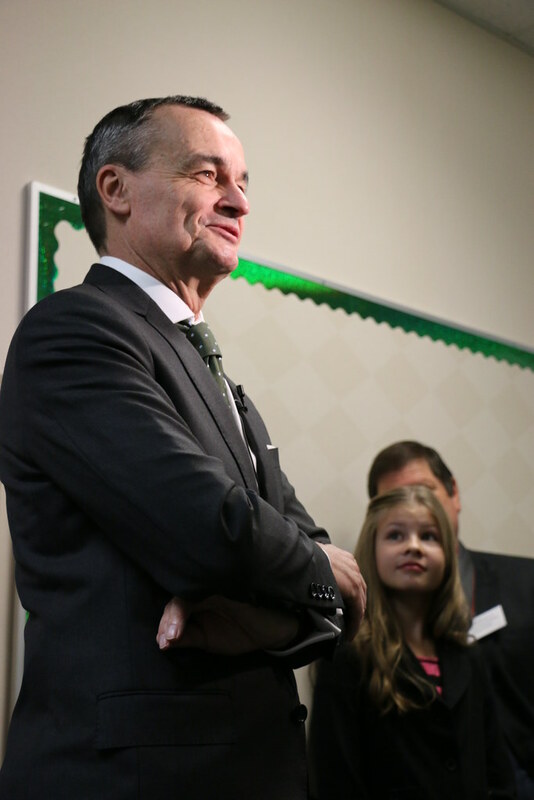 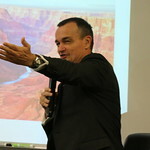 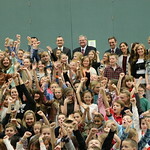 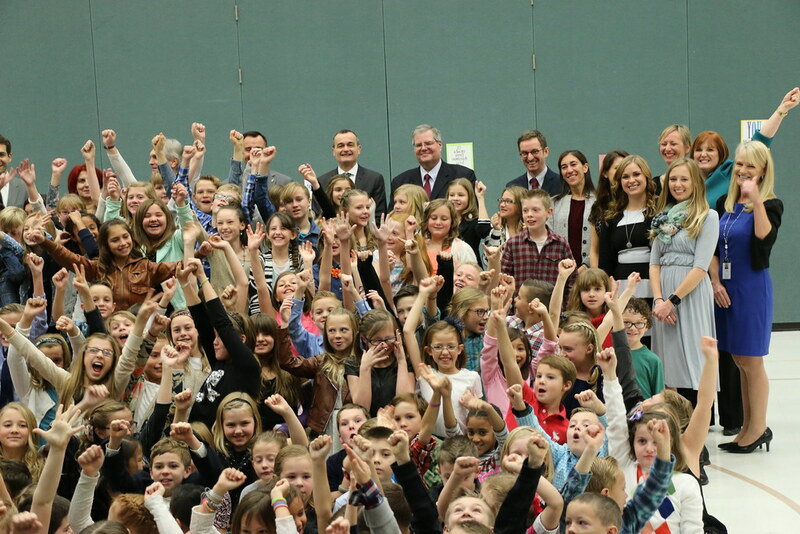 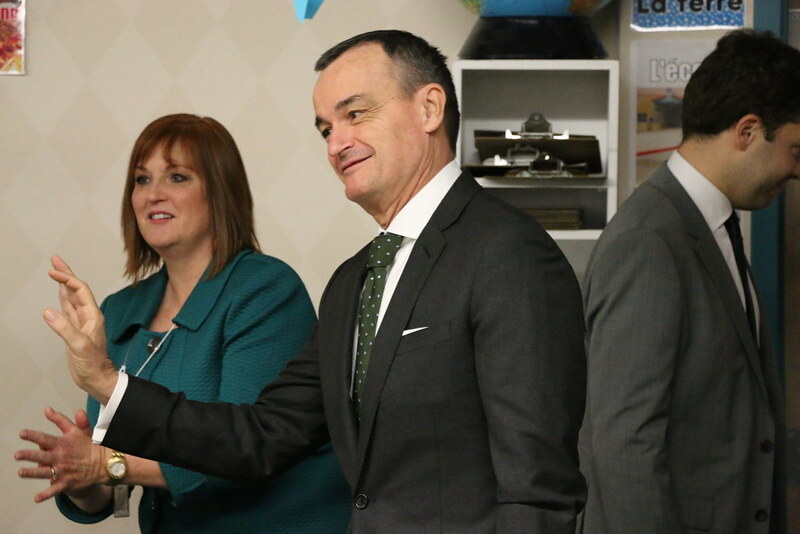 Following his visit to Oak Hollow, Ambassador Araud spoke at Brigham Young University.